The Effect Forensic Visuals Have in Jury Trials. There have been numerous studies on the massive capacity visual long-term memory has for storing object details. Simply put, seeing something is different than just hearing about it. 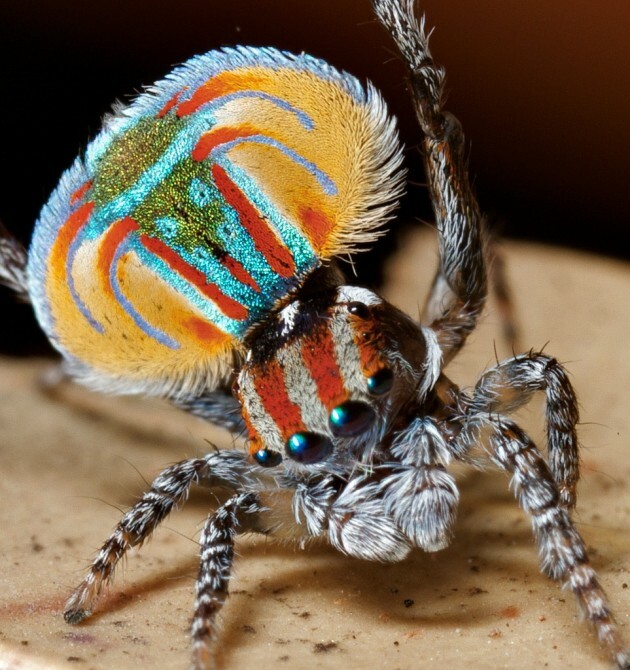 If someone tells you they found a weird spider you might shrug it off, but what if they show you the spider? Chances are you will remember just how truly weird it was. DK Global has assisted attorneys by visually telling their clients' stories for over 20 years. In that time many trial attorneys have used thousands of animations, illustrations, and day-in-the-life documentaries, to give them what they consider to be an enormous advantage. That advantage is a visually informed jury. The elevated language and complexity of a surgical operation makes it difficult to understand and process for the average person, resulting in an overwhelmed and confused jury. A confused jury can easily miss crucial details while a medical expert is presenting. In order to produce a truly informative presentation everyone can understand, our team must extensively study operative reports, consult, and collaborate with medical experts. As we translate those intricate details into an easy to understand visual product, we continue to consult with the experts to ensure accuracy. Once in court, an attorney can have expert witnesses easily explain details using those visual aids as a reference for the jury. In a trial involving two of his clients, Texas Attorney Scott West needed the injuries and extensive surgeries his clients endured to be explained to jurors in a clear and compelling way. Looking to have an edge in the courtroom, he opted to use visuals as a strategic tool. Since the jurors were not distracted by the complexity of the medical and technical language, they were able to grasp the severity of the Plaintiff’s injuries. The outcome for both clients were verdicts in their favor for financial recovery, far higher than the original offers. Read more about Attorney West’s success here. The sudden nature of a violent event, such as a collision, can leave a lot to be understood by a jury who were not present at the time of the incident. Even the parties involved can have trouble recounting the traumatic occurrence, especially if a severe injury is involved. To reconstruct the incident our team takes a collection of objective information such as evidential expert data and detailed maps of the actual scene. Creating a reconstruction of the event that brings spatial awareness to the audience while acquiring the absolute best chance of admissibility for the visual presentation. In one such case, Georgia Attorney Gwyn Newson needed to show how a 71-year-old man was struck by a distracted driver who ran over his client's leg. Attorney Newson also needed to show the internal injuries his client sustained. To achieve maximum accuracy, a drone was used to capture the actual scene of the incident. The reconstruction showed liability from multiple points of view as it also portrayed the internal injuries sustained at the scene by the Plaintiff. These visuals aided the attorney in securing over $1 million for his client. Read more details about Attorney Newson’s trial here. If a picture is worth a thousand words, a multi-media presentation has proven to be worth much more than that to a jury. The modern juror is exposed on a daily basis to TV, the internet, video games, and other forms of visual media. Take the modern smartphone as an example, it is visual, as are the apps and icons on it. Why? Because people respond to images. Evoking both empathy and understanding from a jury for maximum effect using powerfully accurate visuals is part of the vigorous litigation tactics used by the nation’s top attorneys. The use of multi-media presentations has also been highlighted by the American Bar Association as an important addition to the modern court case for many years. This year Panish Shea & Boyle Partner Rahul Ravipudi won CAALA Trial Lawyer of the Year for his work on a trial involving a high-profile client who was assaulted and violently beaten by security at a Las Vegas nightclub. A heavily resourceful Defense continuously refused to settle pushing the trial to last over two months. The use of a full suite of visuals ranging from medical animations to labeled illustrations over the course of the trial informed and kept the full attention of the jury. Additionally, the visuals assisted in humanizing the Plaintiff to the jurors, making it easy for any viewer to empathize with him. The jury deliberated for less than five hours before awarding Attorney Ravipudi’s client $160.5 million in financial aid to help with the lifelong injuries he sustained. Attorney Ravipudi was awarded the Golden Advocate Award for the Largest Verdict in a case we supported in 2017.